The achievement did not make the headlines in the local newspaper; there wasn’t a mention on the evening news; and nary a tweet was twittered. passed the Texas Assessment of Knowledge and Skills (TAKS) test in Math. So, what makes this newsworthy? Marco Campos teaches in what some people refer to as an inner city school attended by low-income, minority students. The general assumption for the inner city label is, it is in the central part of the major city and its residents have high levels of poverty, are exposed to violence, and witness drug trafficking. Some teachers blame their classroom problems on the fact that their school is in the inner city, or that their students come from a certain neighborhood. Can you imagine a doctor who complains about patient demographics, or a Peace Corp volunteer who complains about the culture of the people he has been sent to serve? Marco Campos looks beyond the physical address of a child and sees his students as seeds of potential greatness. Every. Single. One. In many major cities such as Chicago, Manhattan in New York City, San Francisco, Paris, London, Berlin, Istanbul, Stockholm, Hong Kong, Sydney, Toronto, and Montreal, the most affluent residents reside in expensive homes in an established, inner city neighborhood. Less affluent residents reside in suburban areas. Poverty and crime are, to a greater degree, associated with the distant suburbs. The recent riots in France took place in the suburbs, yet media coverage would have one believe the students were marching on the streets of Paris. or any other explanatory variable. Marco started teaching nine years ago via an Alternative Certification Program. He was full of passion, but lacked the essential tools to start his new career. Thrust into a classroom with no instructions, he was terrified. Marco says, “I had no experience at all, and did not know what to do. Fortunately, my school district gave me a copy of The First Days of School. I devoured the book that weekend! “I learned how to be prepared for my students and to manage a classroom with procedures and routines. More importantly, the knowledge I gleaned from this book gave me the confidence I needed to teach and grow to be an effective teacher. What makes Bruce Elementary School such an opportune place to be? The school has an effective school culture. A Weekly Bulletin where the principal shares important information for the week. It is subtitled News You Can Use. A Great Idea section in the Weekly Bulletin to share good practices. Professional Development every Wednesday. Teachers present procedures that have worked well in their classrooms, as well as ideas for adapting and modifying these procedures. Common planning times for all grades. Students learn how to walk in Bulldog Position in the hallways—proudly and quietly on the right hand side, with their left hands behind their backs, and their right hands on their lips to indicate silence. This procedure facilitates orderly and efficient transitions between classes. Students learn how to go to lunch in a pre-determined order. Students know exactly what to do in the library, computer labs, and science labs. Click here to see a copy of Bruce Elementary School’s Weekly Bulletin and Good Idea section. The culture at Bruce Elementary is one of teacher and student success. Everyone is working together with one goal in mind—student achievement. Recently, Marco was asked to participate in the Houston Independent School District’s Highly Effective Teacher Study, also known as Project Aspire. Teachers in grades three to eight, who had facilitated the highest levels of student academic growth from 2006 – 2008, were asked to share and discuss their teaching methods. All of them are motivators. building solid relationships with their students. Marco is constantly on the lookout for new procedures that he can implement in his classroom. When he hears teachers mention that something they’re doing is working in their classrooms, he drops everything and asks them for information. Without exception, he has found that effective teachers are always eager to share good ideas. Once Marco learns a procedure, he adapts it for his classroom and students, and implements it. Then, besides keeping his eyes and ears open—observing and monitoring—he asks his students for feedback. If students like the new procedure, and Marco finds that it helps him do more in his classroom, then the class will keep using the procedure. Marco says, “Here at Bruce Elementary, we’re lucky to have young, enthusiastic, and charismatic teachers that are eager to share new procedures and ideas. Marco spends several days at the start of school showing and modeling his classroom procedures. He engages his students by using funny, real life examples and demonstrations of how things need to be done. One place he looks to for inspiration is TV. Marco says, “I was watching Sesame Street with my son. In one scene, Elmo was telling Dr. Noodle how to use a banana. (Click here to see the video clip that inspired Marco.) It was funny, and my son and I laughed a lot. This gave me a good idea of how to introduce procedures to my students. “My goal is for my students to understand that classroom procedures are for their benefit, and that if they follow these procedures, school will be less confusing,” says Marco. Marco’s most effective procedure is his Homework Conduct Control Sheet. A weekly task list is given to students to work on with their parents or an adult at home. Each day, the adults work with his students on Reading, Spanish, Math, and English. The adult must sign the document daily. This document helps maintain home involvement, allows the teacher to give daily feedback on the student’s classroom conduct, and serves as a tool for adults to communicate with the teacher. The Homework Conduct Control Sheet reinforces what was taught in school and is an effective form of home learning. Click here to see Marco’s Homework Conduct Control Sheet. Five years ago, Marco was diagnosed with lymphoma, a blood related cancer. Unbelievably, he managed to teach that school year while receiving treatment. His students were his greatest motivation to work hard, keep fighting, and keep positive expectations. His students knew the procedures and routines of the classroom, and that helped a lot during those difficult months. Marco did not have to expend energy each day with the minutia of running a classroom—his students already knew what to do. Marco could just teach. And teach he did. That year, all of his students passed both Reading and Math TAKS. His students’ success was just what the doctor ordered to put Marco on the road to remission. and to set high expectations—for both your students and yourself. Marco has walked the talked in his personal life and his professional life. Marco Campos is an inner city school teacher and his students are successful. 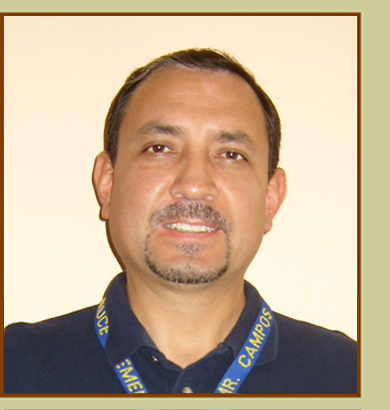 Elmo Sanchez featured in our August 2007 column is an inner city teacher and his students are successful. Alex Kajitani featured in our December 2007 column teaches in one of the poorest performing school districts in all of California, yet his students are successful. Have plans, goals, and visions. Position themselves where they can learn and contribute. We need to work in our learning teams to find a solution. Let’s analyze the students’ work to see how we can improve student learning. Students of these effective inner city teachers fill the pages when researched on the Internet. These seeds of potential greatness include politicians, film icons, song writers, doctors, lawyers, novelists, comedians, magicians, war heroes, and scientists. Some are household names like Jennifer Lopez and Colin Powell; others are rather obscure like Rosalyn Sussman Yalow. Yet all occupied a desk in a setting that most would describe as bleak and hopeless and went on to leave their stamp on the world. We often hear the quote, “A teacher affects eternity. He can never tell, where his influence stops.” Such is the case of Rosalyn Sussman Yalow. Dr. Yalow is a product of the schools in Bronx, New York, and went on to become a medical physicist. In 1977, she received the Nobel Prize in Physiology or Medicine for developing a tracing technique for measuring quantities of various substances in the blood. This technique is used today in the detection and the treatment of cancers. Although we can’t say with certainty, perhaps in some small way, Rosalyn Yalow played a part in Marco Campos’ successful battle with cancer. But, we know for sure, Marco Campos will always believe that all of his students are capable of greatness. Every. Single. One. For a printable version of this article click here. Harry and Rosemary Wong have been writing columns for Teachers.Net for over 13 years and the columns all have a distinctive style. They write about effective teachers, administrators, schools, and school districts featuring techniques that are immediately replicable and at no cost. More importantly, they work to enhance student learning. An archive of past articles can be found at the end of every column, with an abstract of all articles at the end of the most recent June column. 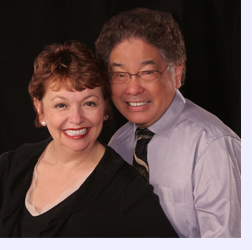 For over 30 years, helping teachers become effective has been the passion of the Wongs. Writing for Teachers.Net is just one of the many ways they reach out to educators with their ideas on how effective teachers improve student learning. Harry and Rosemary Wong are teachers. Harry is a native of San Francisco and taught middle school and high school science. Rosemary is a native of New Orleans and taught K-8, including working as the school media coordinator and student activity director. Harry Wong has been awarded the Horace Mann Outstanding Educator Award, the National Teachers Hall of Fame Lifetime Achievement Award, the Science Teacher Achievement Recognition Award, the Outstanding Biology Teacher Award, and the Valley Forge Teacher's Medal. He was selected as one of the most admired people in education by the readers of Instructor magazine. Rosemary was chosen as one of California's first mentor teachers and has been awarded the Silicon Valley Distinguished Woman of the Year Award. She was also honored as a Distinguished Alumnus from her alma maters, Southeastern Louisiana University and Louisiana State University. Harry and Rosemary have been awarded the Upton Sinclair Award and were nominated for the Brock International Prize in Education. They have built and sustain a school in the jungles of Cambodia. The Wongs are the most sought after speakers in education today, booked two years into the future. Their presentations are practical, offering a common sense, user-friendly, and no-cost approach to managing a classroom for high-level student success. Over a million teachers worldwide have heard their message. In spite of their heavily booked schedule, Harry and Rosemary have agreed to write this monthly column so that more people can hear their message. 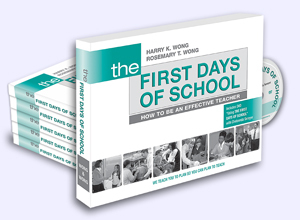 Harry and Rosemary Wong are committed to developing effective teachers, one teacher at a time. To do this, they have formed their own publishing company, of which Rosemary is the CEO. 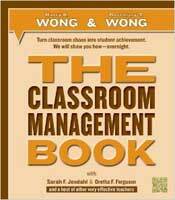 THE Classroom Management Book is what everyone has been waiting for. It is an exhaustive extension of Unit C on classroom management in The First Days of School. 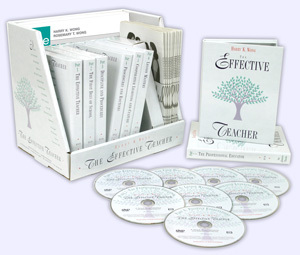 How to Be an Effective and Successful Teacheris an audio CD set that was recorded live before 800 teachers in St. Louis. Listen as they walk you through classrooms that hum with learning and share how you can replicate the same success in your classroom. 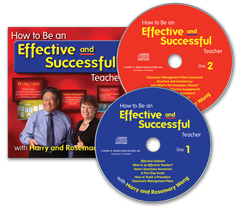 In 2 hours and 40 minutes, Harry and Rosemary can transform you into a very effective and successful teacher at no cost! This presentation has transformed the lives and teaching success of hundreds of thousands of teachers. A new chapter on assessment with rubrics. The Wongs have also produced the DVD series, The Effective Teacher, winner of the Telly Award for the best educational video of the past twenty years and awarded the 1st place Gold Award in the International Film and Video Festival. 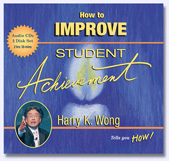 They also have a successful eLearning course, Classroom Management with Harry and Rosemary Wong. The course can be taken in private at the learner's convenience. 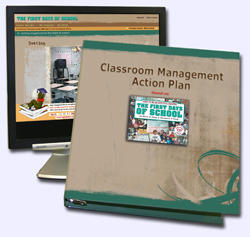 The outcome of the course is a 2 inch binder with a personalized Classroom Management Action Plan. This Action Plan is similar to the organized and structured plan used by all effective teachers. Details for the classroom management course can be seen at www.ClassroomManagement.com. of his many presentations. He invites you to steal from him the secrets of effective teaching for all grade levels. attitude and your life. 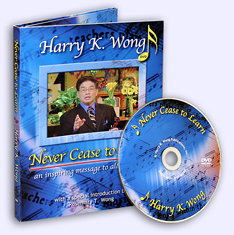 In this DVD, Harry shares his journey on the road to success and tells listeners how to become the educators they were meant to be. When the books, video series, CD, DVD, and eLearning course are used together, they form the most effective professional development training tool for producing effective teachers. Staff developers and administrators who would like to know how to implement the aforementioned book, video series, and CD are encouraged to consult the book, New Teacher Induction: How to Train, Support, and Retain New Teachers. Information about these products can be found by visiting the publisher's website at www.HarryWong.com. Helping you produce effective teachers is our passion. If you spot a link that appears to be out-of-date, please alert us at webmaster@teachers.net!